How is it different from the #bestmattressever? The BME cover is stitched onto the foam (more about that later) while the cover of the Aurora is loose and stretchy. The Aurora cover also incorporates cooling technology, so when you touch it, you notice that it is cold. The side of the Aurora is another large upgrade. It has a soft feel, so you may find yourself petting the sides of the mattress when you unbox it. All of these additional changes bring the Aurora Hybrid into the luxury category, which of course pushes up the price. The Aurora is around double the price, but each mattress has the ability to attract a different audience. The BME is designed for people who want a sturdy (and relatively firm) mattress at an under $750 price. While the Aurora Hybrid is destined to find buyers who are looking for high quality luxury that is typically found in mattresses in the $3-4,000 price range. Both mattresses come out of their factory in Phoenix, Arizona, and ship directly to you. I unboxed this on 10/27/17, and have been sleep testing it for the last couple of weeks. This was such a super secret adventure that the folks at Brooklyn Bedding only told me the name of the mattress. So I was flying blind on it until they gave me the product specifications so that I could shoot a review video today. This was the ultimate test, as I had no idea what I was in for. I initially found out it was a hybrid by listening to the coils spring into life during my unboxing part of the video. Like the typical mattress in a box, it comes compressed and sealed tight in plastic wrap. As you can see from the tag below it was made in Phoenix, Arizona at the factory that I recently toured. It felt like a super secret project and finally the day has come where I can share my experience with you all. The Aurora is available in 3 different level of comfort: soft, medium and firm. Since I am a back/ side sleeper I wanted to give the Medium level of firmness a try. The Brooklyn Aurora is the latest in Brooklyn Bedding’s products of affordable luxury, offered to sleepers at an equally cool price tag of $1,699 for a queen size mattress. Brooklyn Bedding is known for its signature technology, TitanCool ™ also found in the #BestMattressEver, its focus is to draw excess heat out and away from the bed maintaining ideal comfort for each individual sleeper. Layers of comfort are added to the sleep experience thanks to TitanFlex™, it’s a hyper-elastic foam with immediate response technology that adjusts to every motion. The additional infusion of TitaniumGel™ makes it even more breathable. Is a Two-Way Circular Knit (Stretch) smooth Cover with Cooling Component. It also helped a lot having to test the Aurora on an adjustable bed since the cover was not glued onto the mattress. 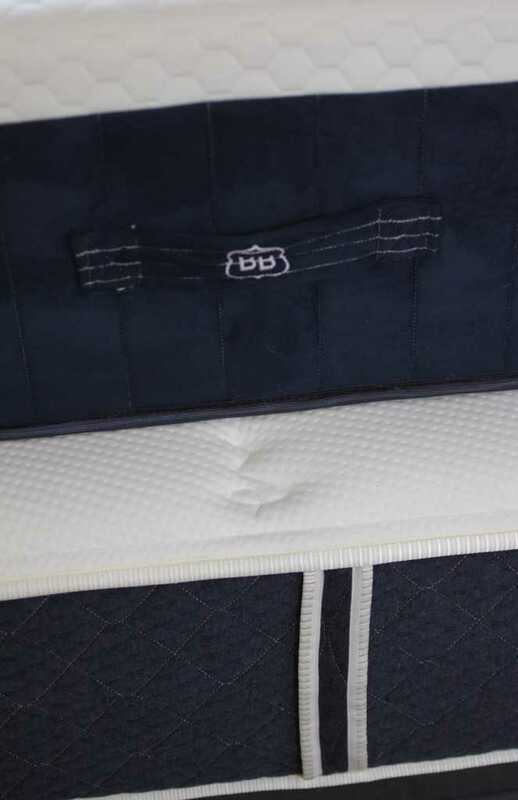 Now my favorite part, 8 Inch Quantum Edge 816 Pocketed Coils, these coils sit in individual pockets allowing for better motion transfer and reactivity while minimizing sleep disturbance providing a firm framework to this premium mattress. And finally 1 Inch of base foam, where all the layers of foam and pocketed coils combined sit flawlessly. For those of you who were counting figured out that this mattress is 13.5″. It is so thick and luxurious you may need to invest in larger sheets to make sure that they stay on. For this price tag which is what I call an investment in the Aurora case, we expected to find a sturdy mattress, but Brooklyn Bedding went beyond that. Along with the Aurora sturdiness comes also very important features making it a mattress worthy of your venture: Comfort and Cooling. After all who doesn’t want to wake up pain free feeling refreshed? Layers of comfort are added to your sleep experience through TitanFlex™, a patented, hyper-elastic HD foam with immediate response technology that adjusts to your body each time you move. An infusion of TitaniumGel™ enhances breathability while copper embeds create an anti-bacterial sleeping environment with greater stability. I can tell right away how cool this mattress is going to be and it’s not just the cover alone, its cooling agents inside the foam layers they team together to keep the bed, therefore you, cool while you sleep on it. TitanFlex™ foam plus TitanCool ™ in a second layer of comfort result in the Aurora optimal cooling effect as you sleep. Basically TitanCool ™ water-based surface and high conductivity properties draw excess heat out and away from the bed, maintaining ideal comfort for each individual sleeper. The pocketed coils are like a secret agent sitting ideally between layers of cool foam providing enough edge support and better motion transfer minimizing disturbance at the same time. When you start looking for a mattress instantly you are thinking cost, money! How EXPENSIVE is it going to be? Will it do its job? We are basically looking for satisfaction. We want to be satisfied with what we have invested in, we want to make sure we have put our money we have worked hard to earn in the right product. That’s where durability comes in play. 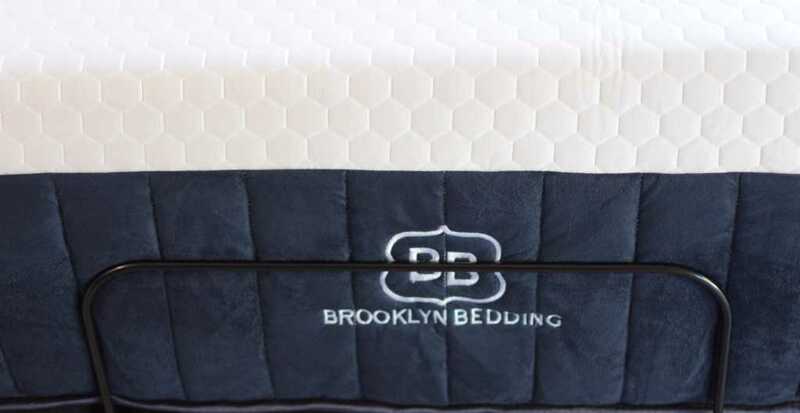 Most importantly ALL Brooklyn Bedding sleep products including the designing, stitching and crafting as well as their new baby the Aurora mattress of course, are made here in the USA in a local (super huge) factory, using nothing but the highest quality materials. Worst case scenario you didn’t like it, well returning a mattress these days is the easiest thing ever, they will do the job for you no question asked. But i suggest take advantage of their 120-day trial period I’m positive you will change your mind. Finally the Aurora is available in three distinct firmness levels and all bedding sizes. It’s the perfect example of the luxury mattress in a box offered with standard free shipping and a 10-year warranty. This American made mattress will retail for $999 (Twin), $1199 (XL Twin), $1499 (Full), $1699 (Queen) and $1999 (King and California King). Interested in a Brooklyn Bedding Aurora? Take 20% off with the code nonbiased20. Why did it only get a 8.5 on durability? It’s kind of a funny question isn’t 8.5 out of 10 a good thing? Hi Rana. Did you forget to rate the edge support on your score board? ? I changed my secret sauce a little while ago, so I combined it with support and added in adjustable frame. I know that everyone doesn’t have an adjustable bed, but if you go into a mattress store almost all of them are on one. LOVING the plush outside! I love the freestanding cover rather than fixed- plus this one is a tall one! I love that one of your cons is the box- I am the same way. I want even the packaging to scream quality.